There doesn't seem to be a week pass by without a new launch from Makeup Revolution. 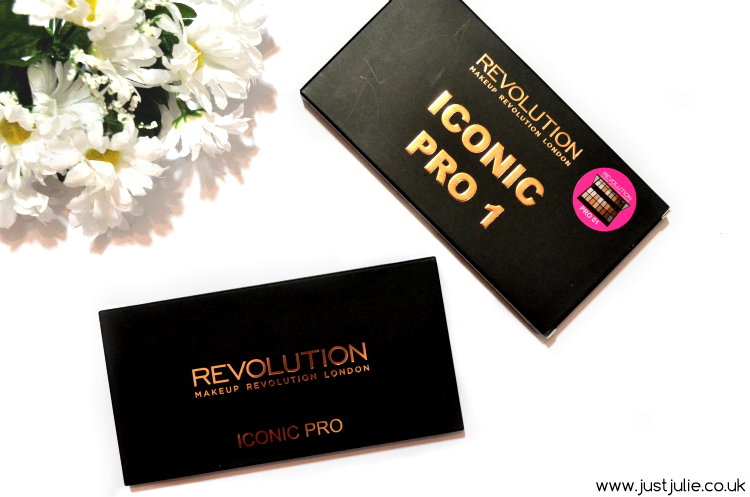 Their latest launch comes in the form of two palettes, Iconic Pro, 1 and 2. 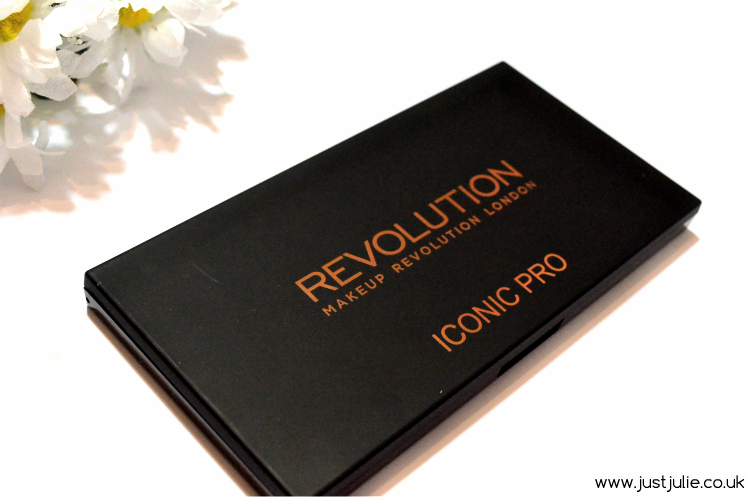 With a new look and formula I couldn't wait to try the Iconic Pro 1 Palette*. These palettes have already been dubbed dupes for both the Lorac Pro palettes. Now I myself have never tried either palettes due to them being extremely hard to get hold of over here in the uk, so I can't give any comparisons, however a quick Google search and a read up of several blog posts, apparently the jury came back with a huge guilty verdict.. that this is in fact a great dupe, shade and quality wise. 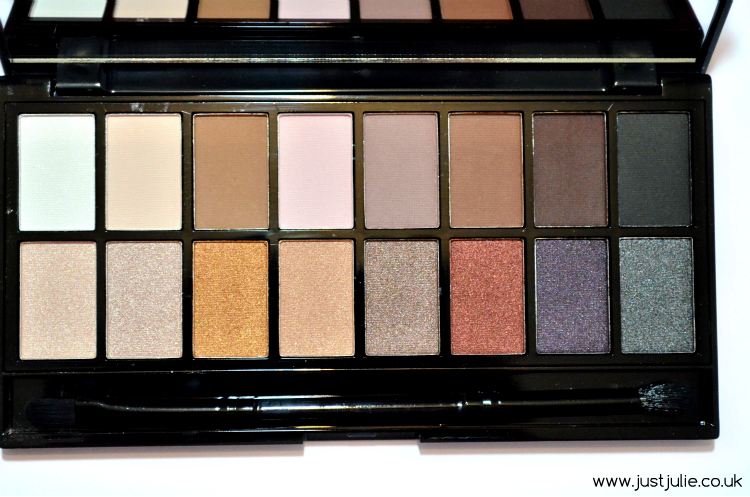 Seeing as I myself can't compare the two, I'm just going to focus on how this palette performs. As I said, we have a new look to these palettes, gone is the glossy black case and hello to a very sleek matte black case. I'll be honest, I quite liked the original glossy finish but I have to say this matte look is a lot more sleeker and definitely gives off a more premium look and feel. You still get the full sized mirror inside the case, but now we are treated to a double ended brush too. Having not tried the new brushes yet, I was very excited to see this has been added to the palettes. In case you can't tell from the photo one end has a flat brush and the other has a fluffy round brush. I have to be honest, I wasn't overly keen on the fluffy brush although it did a good job at blending in the final look to my eyeshadow, however the flat brush is amazing. The Iconic Pro 1 Palette now contains a new super elite formula. Designed to give you even greater pigmentation all whilst being easier to blend in due to the new butter like formula. 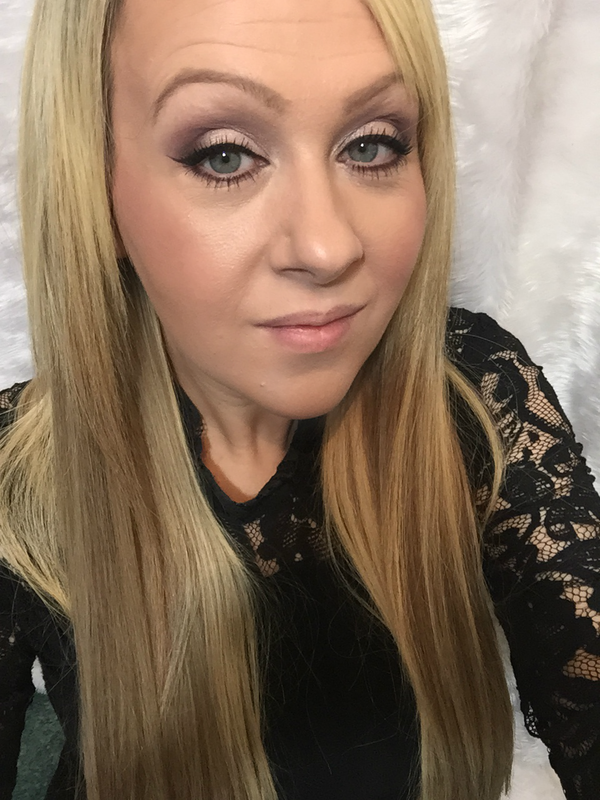 I myself liked the original formula, however I can really tell the difference, all shades, shimmers and mattes are even easier to blend in than before and there is virtually no fall out. The Iconic Pro 1 palette contains 16 eyeshadows in total. The top row contains 8 mattes and the bottom row contains 8 shimmers. I'm going to be honest, shade wise this palette is spot on. You have your traditional neutral shades, yet there is a gorgeous mauvey taupe shade (Fade), a stunning rusty colour (Stage) there is even a super dark shimmery purples which I love (Addicted) This is a great palette to wear on a normal day to day basis, yet you can convert any eye look to create something more evening appropriate. In this photo I used 'Enigma' all over the lid. I then used my favourite shade 'Fade' in the socket and blended it upwards. I went in with 'Afflicted' to open up my eyes to create an outer V shape, I also smudged this underneath my lower lash line. As the look was very matte, I needed to add a bit of shimmer so went in with 'Breathe' on my lid and then added 'Dawn' over the top to brighten the whole look up. I literally love how the look ended up and can see this becoming my go to eye look! 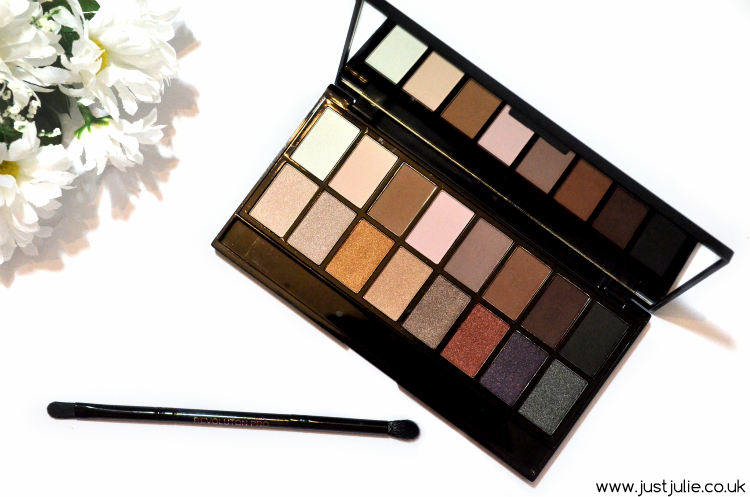 I have to say as a lover of the original Makeup Revolution eyeshadow formula, the Iconic Pro 1 palette is even better and gets a huge thumbs up from me! Dare I say this is actually my favourite palette that I own from Makeup Revolution? Obviously now I really do need the Lorac Pro palette, just to compare the two, I also need the Iconic Pro 2 palette as I really hate not having a whole collection! At £6.99 this is a real bargain.